Everyone knows that the royals love a good portrait, they’re good for posterity. Eagle-eyed fans previously noticed one of Prince Harry and Meghan Markle, in pride of place in none other than the Queen’s room earlier this year – and it’s now emerged. 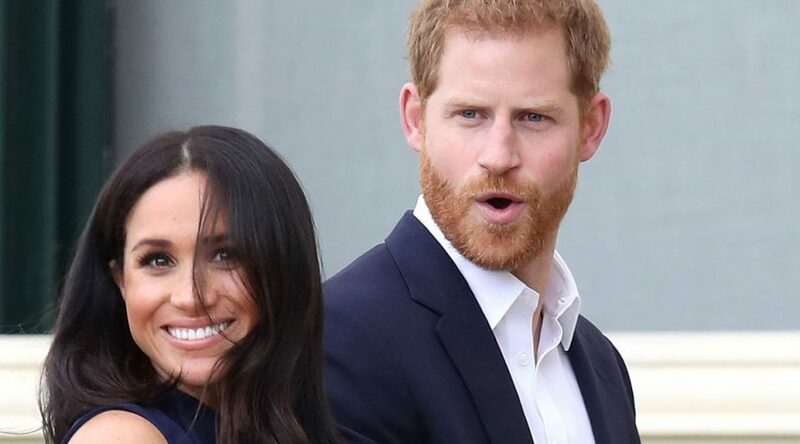 The cute snap was one of many portraits taken of Meghan Markle and Prince Harry during their engagement shot, but there was one keen difference. This one was a special secret, as it hadn’t been seen before except on the Queen’s table. But now, thanks to what must be some sort of Photoshop genius, we can now see the photo in all its glory – albeit slightly pixelated. It was first spotted by fans in the background of a snap of the Queen when she met Australia’s High Commissioner George Brandis at Buckingham Palace earlier this year – and people were desperate to see it in full-size. The photo has now appeared on Instagram fan account Meghanmania, and royal family fans are delighted. The stunning picture shows Prince Harry, in a navy suit, and Meghan Markle, in a light blue dress looking loved up as always. In the photo, the Duchess of Sussex is wearing the Cromford Top and Arreton Skirt in light blue, by designer Rolan Mouret. Her engagement ring is front and centre, of course. Fans noticed another key detail when the snap first appeared on the Queen’s side table: it was actually replacing a photo of some other royals. Rhe image of the Duke and Duchess of Sussex appeared to have replaced one of Princess Anne and her husband Timothy Lawrence. The portrait of the Queen’s daughter Princess Anne and Timothy dressed in Navy uniforms was last seen in April to the right hand side of the lamp. Awkward. Did Dvorak’s ‘New World’ Symphony Transform American Music?